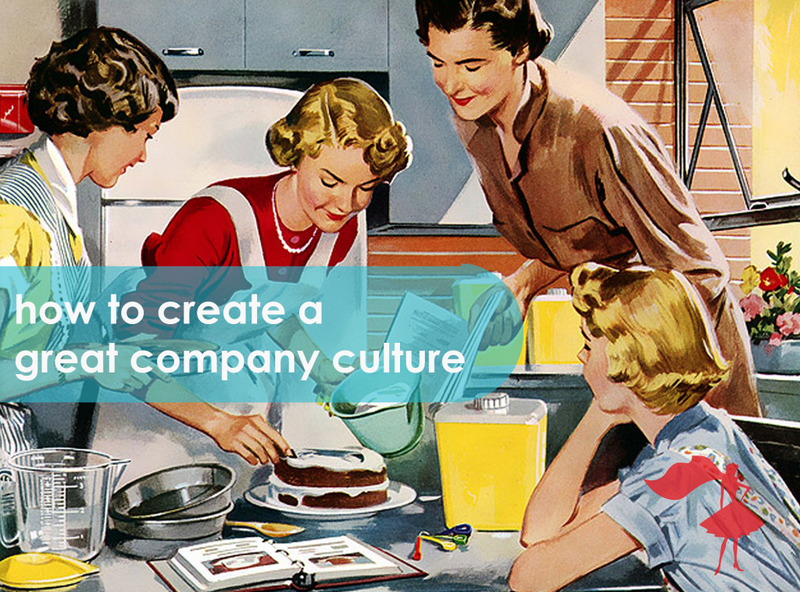 Business articles are telling us more and more about the importance of cultivating a thriving company culture to improve productivity and team moral. More than just the paycheck, employees want to feel like they’re contributing something positive to world. Rather than creating an environment where everyone gets by doing the bare minimum, a positive and thriving work environment ensures your employees are satisfied and working well together as team. Each company is different. If you begin by hiring individuals who fit your company culture, it’s likely they’ll be happier working there and the whole team will get along better. At the same time, if you hire someone whose a bad fit for the company, whether its a bad attitude or a “know-it-all” who doesn’t take direction well, this decision can have a domino effect, rippling out to the rest of the team. And you don’t want that stink in the office. Trust me. On the same token, don’t just hire clones of yourself…you want to find people with skills that you are lacking and would mesh well with the overall team. While interviewing, share your company’s core values with the candidate. Do they seem to resonate with these values? Do you see the sparkle in their eye? Do they GET IT? Look for people who have a positive personality, seem eager and are asking lots of smart questions, confident and coming to the table with new, creative ideas. When managers and mentors really care about their employees, it goes a long way to achieving job satisfaction. Extending your culture to include gratitude will have a huge impact on your working environment. In fact, a study by Glassdoor even found that 81% of employees are willing to work harder if their boss shows them appreciation for their work. TIP: at your Monday morning team meetings, go around the table and ask people to share the top 3 things they are grateful for (at work) and top 3 things that were your greatest triumphs at work from last week. This practice of gratitude is guaranteed to set your workweek off on the right foot. You don’t need a fancy office space with a ping-pong table and latte bar. I mean, that would be nice and all, but it’s not vital for success. However, I will say this…snacks, green tea and a little coffee go a long way. It’s the little details, really. Just stocking the workspace with a few protein bars or healthy snacks (bananas, apples, roasted almonds) makes a huge difference when your team are working long hours during busy season and finding it hard to peel away for lunch. Total cost per month? Probably only about $20 and well worth the investment because your team sees that you care about their well-being. No one likes a meeting that goes on and on. It’s almost as exciting as a root canal. Keep your Monday morning team meetings to 1 hour TOPS…always go in with a written agenda and keep to it. gratitude – what are the top 3 things you are grateful for at work? triumphs – what were your top 3 triumphs from last week? intentions – what are the top 3 things you’re working on this week? So give it a go! See if these little changes make as big an impact for you as they do for us…what do you do at your firm to cultivate a great company culture? Leave a comment below to start the conversation. Another crucial aspect appreciated by your team is professional development. Give your interns the training they need to hit the ground running. Don’t worry if you missed our Kickstarter campaign, just click the banner below to pre-order for Fall 2016!